With access to literally billions of historical records - and a collection that expands daily - there are few sites that can even come close to the access Ancestry provides. While the subscriptions may be costly, the amount of information that users can locate quickly and easily makes it possible to find details not available elsewhere. And, with a 14-day free trial, prospective customers can decide for themselves if the service will help them with their family history research. As the most recognized name in genealogy services, Ancestry is our top choice. 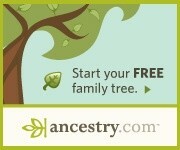 Billing itself as "the world's largest online family tree", One Great Family helps users connect with others around the world who are interested in their genealogy. Their service streamlines many of the processes that other sites require users to manage manually, making it easier to create and maintain one's own family tree. On the other hand, for those who are looking for census records, obituaries, and other types of historical documents, One Great Family does not provide access to that kind of information.